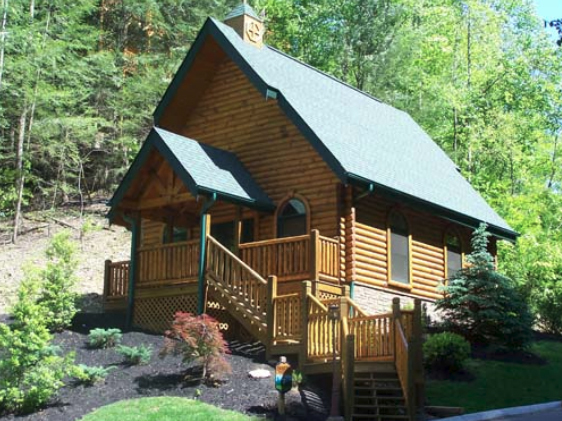 Luxury cabins in Gatlinburg & Pigeon Forge featured on the Travel Channel. We are a faith based family business specializing in church groups, families & wedding parties. 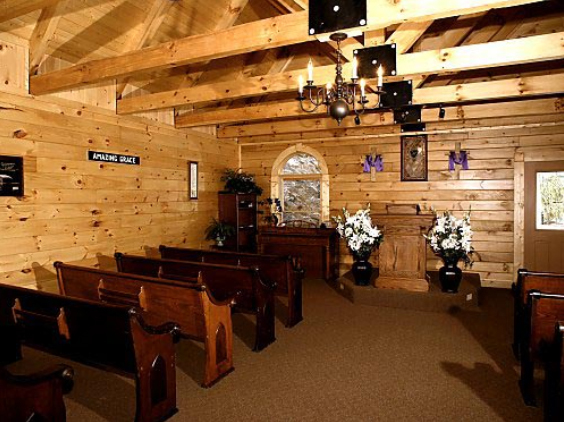 We offer a beautiful log worship & wedding chapel to our guests for private rental. A perfect place for your church retreat or family reunion or an intimate romantic getaway. Cabins available from a 1 bedroom honeymoon cabin up to our 8 bedroom lodges that will each sleep 38. Easy access & convenient location close to town. Discount tickets to Dollywood & Dixie Stampede are offered. A family-owned, family-operated rental company with Pigeon Forge and Gatlinburg cabins equipped with all the extras you’re looking for in a great vacation rental. Whether you prefer mountain views, riverside settings, or the excitement of the Pigeon Forge Parkway, there’s a cabin waiting for you! 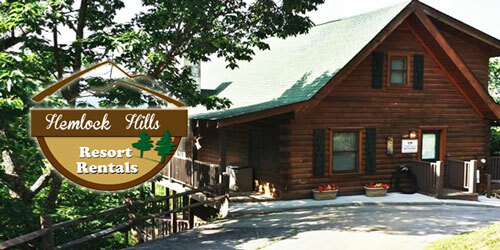 Hemlock Hills Resort one of the few cabin rental places in the Smoky Mountains with an on-site chapel. Located at Hemlock Hills Resort in the Smoky Mountain Arts & Crafts Community, the chapel is perfect for intimate wedding ceremonies, a spiritual retreat, a couple’s retreat or large group gathering. The sanctuary can accommodate up to 40 guests. It is equipped with a podium and basic decorations. Request use of the chapel in advance when you make your cabin rental reservations.